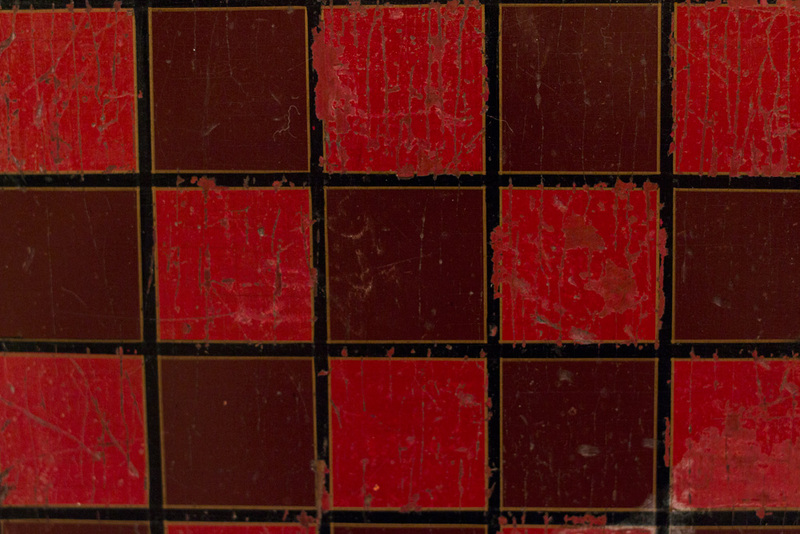 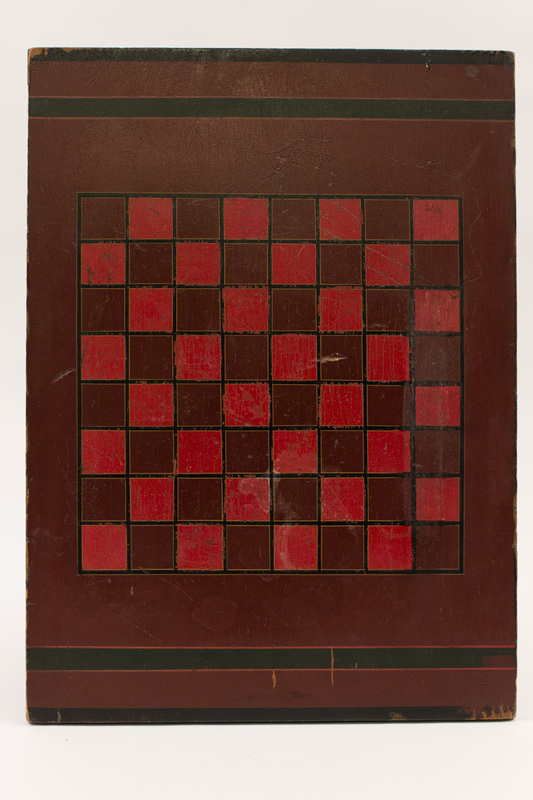 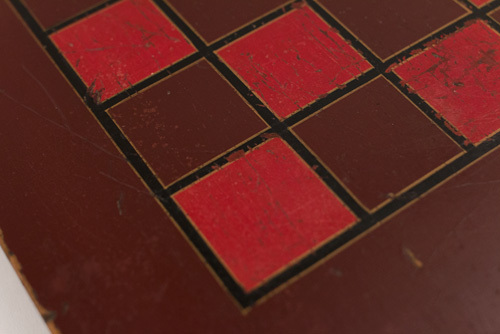 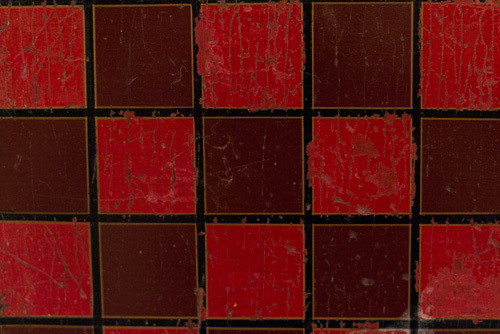 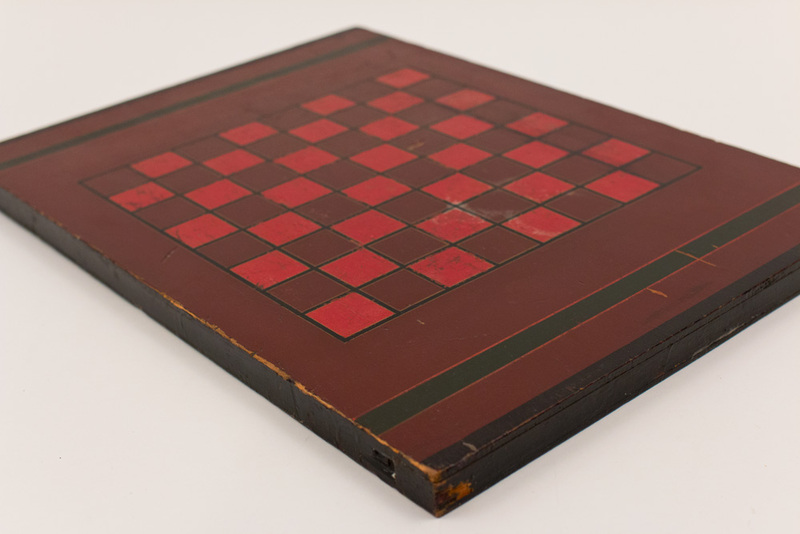 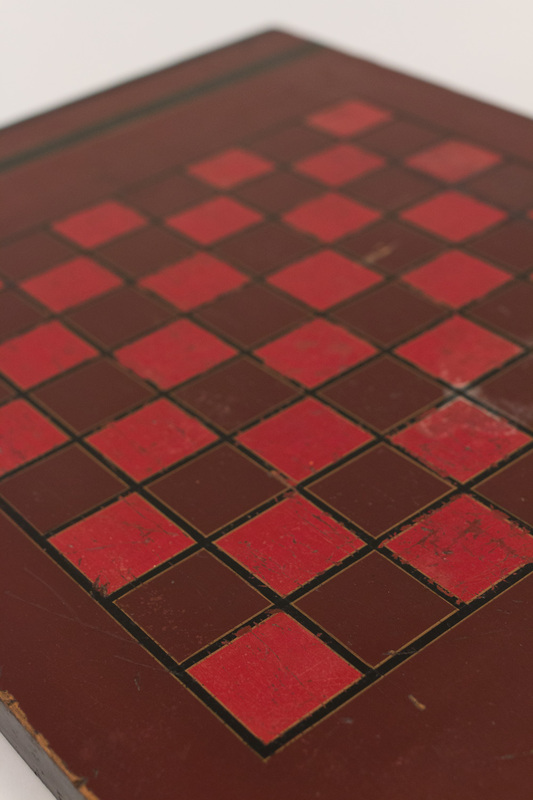 Circa 1900: Note the wonderful honest use, history, and completely original first surface on this well crafted five color antique American checkerboard. 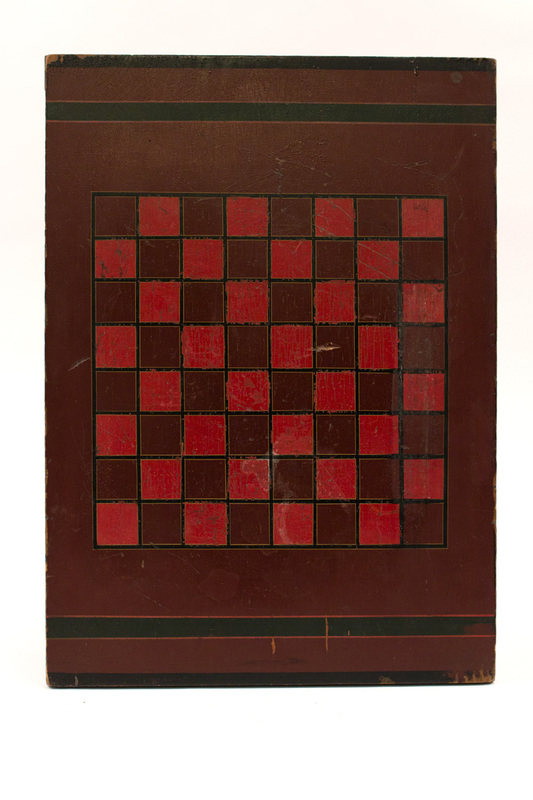 This turn of the last century gameboard boasts two highly contrastingl reds -- one vibrant, one like red velvet cake -- separated with well executed black lines even more superbly outlined in gold. 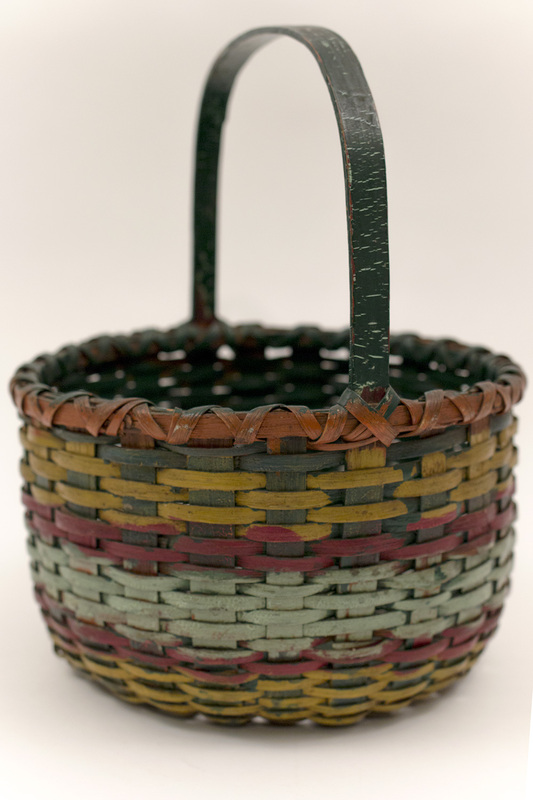 Two windsor green lines keep opponents at bay, finishing out this wonderfully utilized piece of American folk art. 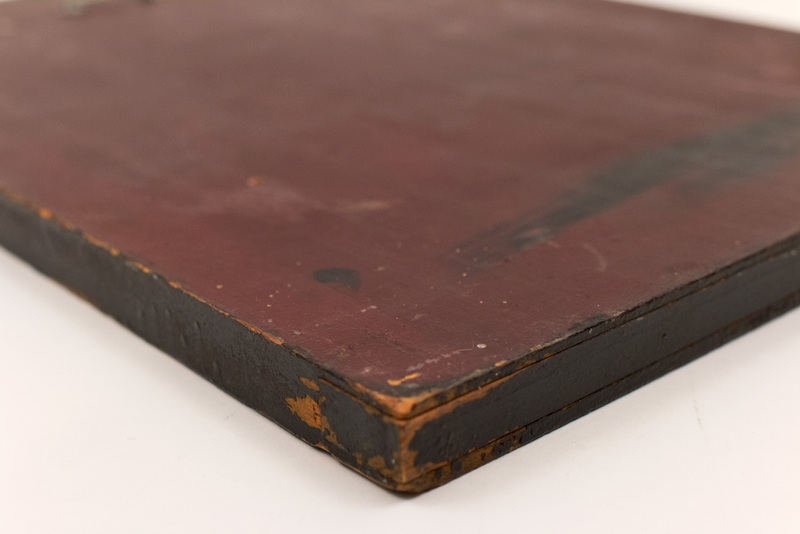 Measuring 18" x 13", this graphically pleasing board was obviously decorated by a professional sign or carriage painter as is evidenced by its very thin, complex, and abundant pinstriping, making this a winning example of antique Americana.